Priscilla Jones lives on Bainbridge Island where she maintains a private Suzuki Cello Studio for students ages 4-adult. 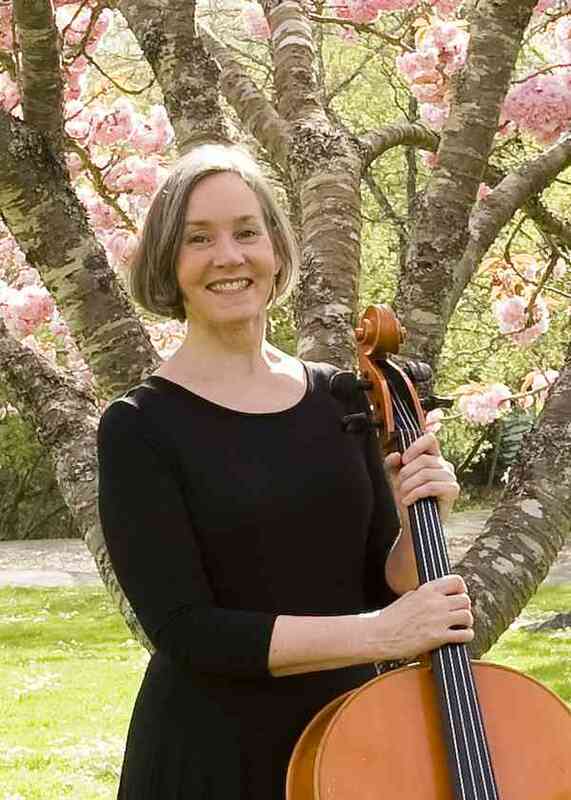 Since moving to the island in 1993, she has helped found the Bainbridge Island Youth Orchestra, and has organized a multi-age group of cellists who call themselves, “Cello Mania.” Priscilla has also enjoyed playing in local concert series including Music Millennium, Soundscapes, Kitsap Opera, and Chamber Music at Bainbridge Performing Arts. She is a registered Suzuki Teacher Trainer and a past president of the Suzuki Association of Washington State. As a cellist, Priscilla Jones has enjoyed 40 years of freelance work—symphony, chamber music and recitals including solo performances with the Chicago Chamber Orchestra, South Texas Symphony, and the Oberurseler Kammer Orchester near Frankfurt, Germany, where she and her husband lived for six years. A native of New Mexico, Priscilla graduated from the University of New Mexico with a BA in Music Education (emphasis on cello and theory/composition). She received an MM in Cello Performance from the University of Wisconsin-Milwaukee. Teachers include Joanna deKeyser, Wolfgang Laufer, and Karl Fruh. When not with her cello, Priscilla likes to hike in the Olympic Mountains.